Dorset Orthopaedic Ringwood Clinic is excited to announce that ambassador and Paralympic hopeful Mark Pattenden has been selected as a finalist in the Pride of Britain Regional Fundraiser of the Year Awards in his local area of London. 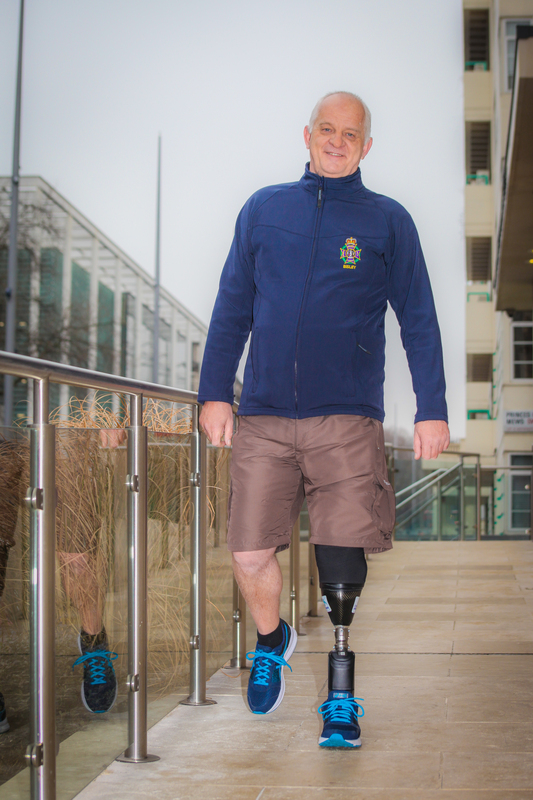 Mark, 54, has raised over £250,000 for a wide range of charities and causes since he became an amputee 18 years ago due to injuries sustained whilst working as a body guard. His countless fundraising challenges and achievements include climbing to Everest Base Camp for a cancer charity and achieving a world record as the first para athlete to participate in the Great Wall of China Marathon. Not only have his fundraising efforts inspired numerous people in his community, he has also helped to transform the lives of the two Dorset Orthopaedic patients who nominated him for the Pride of Britain honour. He has been visiting the Dorset Orthopaedic clinic, located in Ringwood for over three years. During this time, the dedicated team of prosthetic specialists have helped create customised limbs for his series of challenges, as well as for his every day mobility. Mark masterminded a life-changing pay it forward scheme which began when he ran the Great Wall Marathon to raise the funds to provide a running blade for Kelly Jackson, a 28 year old patient of Dorset Orthopaedic, from Birmingham. Kelly suffered severe injuries, including the loss of her right leg above the knee, in a serious car accident in 2013 but is now enjoying an active lifestyle thanks to her new blade. She has completed a series of personal and sporting achievements since receiving her prosthesis including a variety of running events in the UK. 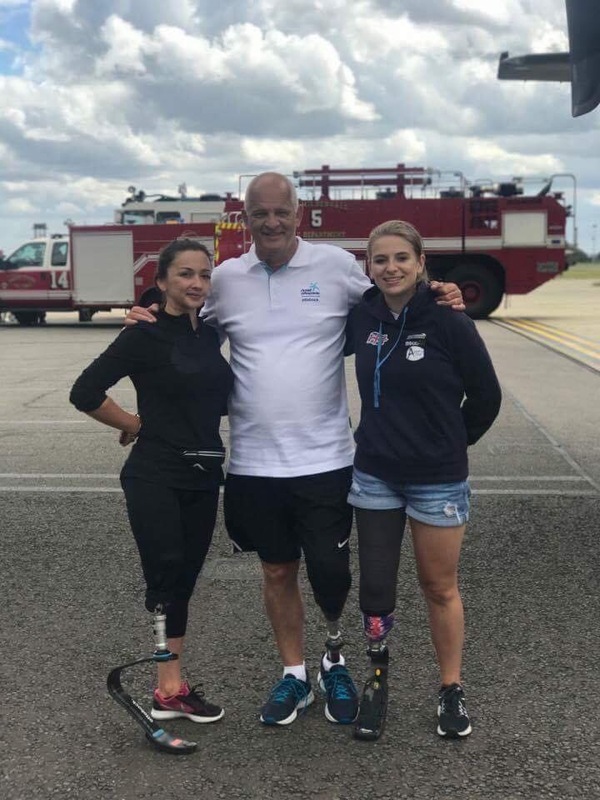 With Kelly the proud wearer of a new running blade, the pair’s attention turned to fundraising for a second custom-made blade from Dorset Orthopaedic that would help aspiring sportswoman and recent amputee Hannah Moore from Stalbridge, Dorset. To raise the funds, Mark completed another extraordinary challenge; running10k every day for 90 days. Hannah had an elective amputation at the age of just 19 after suffering from the effects of Complex Regional Pain Syndrome (CRPS). Since her amputation in the summer of 2016 Hannah has worked hard to regain her fitness and adapt to the challenges of being an amputee athlete using a running blade. Now 21, she gained her first British title in Paratriathlon in September and has ambitions for the Tokyo Paralympic Games 2020. After receiving their running blades, Kelly and Hannah joined forces to nominate Mark for the award, which celebrates local heroes who have made a difference to others through their creative or tireless fundraising efforts. Mark has not only supported the dreams of others in the para sports world, he also has Paralympic ambitions of his own. Earlier this year, Mark was successful in trials for the GB Archery team and is now pursuing his goal of becoming a Paralympian in Tokyo 2020 with the support of Dorset Orthopaedic. In addition, Mark is a disability specialist sports coach and he received recognition from the Prime Minister in the summer of 2017; a Points of Light award which recognises outstanding individual volunteers and people who are making a change in their community. Mark, Kelly and Hannah are also working together to continue the legacy of their pay it forward scheme, and have already chosen another deserving recipient for the next running blade. For more information on Dorset Orthopaedic’s range of solutions that restore mobility please visit www.doset-ortho.co.uk or follow @dorset-ortho.